The TriMet Board of Directors today adopted the Fiscal Year 2016 budget that continues investment in expanding service, improving system reliability and adding 77 new buses to the fleet. 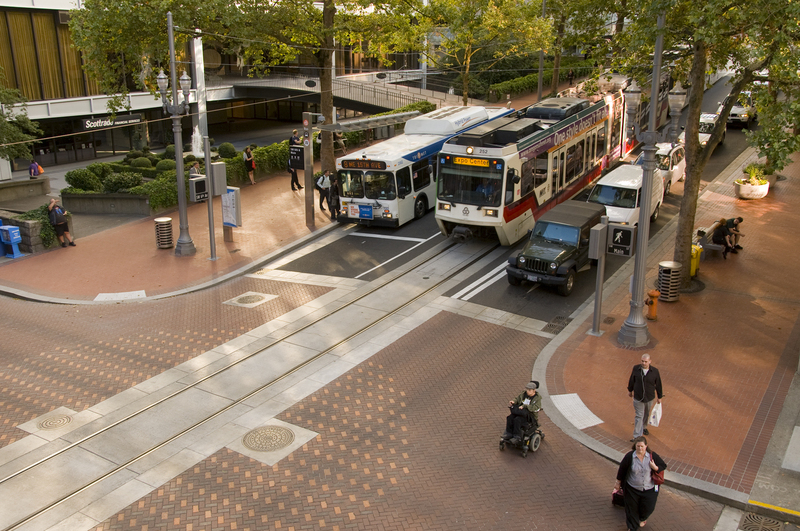 The FY2016 budget includes completing construction and safety certification for the MAX Orange Line that opens Sept. 12, 2015 between downtown Portland and north Clackamas County. Bus and MAX service expansion that will be implemented over the fiscal year. • Bus service hours will increase about two percent, worth approximately $5 million. It will mean more bus and MAX trips on our Frequent Service network, especially on Sundays. Riders will also see more buses to reduce overcrowding, plus increased capacity and improved schedule reliability. • MAX service hours will increase 15 percent, with much of it – $8.5 million – funding the new MAX Orange Line. About $1.1 million will fund the restoration of weekend MAX Frequent Service. • With the MAX Orange Line opening, TriMet is making changes to nine bus lines aimed at improving connections for the neighborhoods adjacent to the MAX Orange Line and to the entire bus and rail system. • TriMet is increasing its share of funding for Portland Streetcar as it expands this September when it completes the loop by traveling across the Tilikum Crossing, Bridge of the People as part of the MAX Orange Line opening. Funding will increase by $3 million to a total of $7.3 million. TriMet funds about 60 percent of streetcar operations. We continue to accelerate our bus purchase program with 77 new buses in FY2016. By the end of the fiscal year, TriMet will have a total of 326 new buses on the road and meeting the industry standard of an average age of eight years. • Complete refurbishment of the former Trolley Barn at the Rose Quarter Transit Center to a Maintenance of Way facility, resulting in faster response times to centrally located incidents. • Investing in rail reliability with track, signal and switch maintenance projects. • Complete infrastructure work for the electronic fare system that will launch in 2017. • Upgrade and repair platform areas at Hollywood/NE 42nd Ave Transit Center and Washington Park stations. • Adding GPS to MAX trains to improve TransitTracker arrival times and operational efficiencies, resulting in better customer service to riders. • TriMet is in Year 2 of a 5 year program to replace analog Closed Circuit Television (CCTV) equipment on older buses and MAX trains. Newer vehicles are already equipped with digital technology. • Annual operator recertification continues with the fifth year of training for every bus operator. • Pedestrian crossings will be improved at four locations in Gresham along the MAX Blue Line to help riders be more aware of an approaching train. Crossings will be improved at NW Division, NE Main, NE Roberts and NE Hood streets. • Complete installation of WES Commuter Rail Positive Train Control (PTC) mandated by the Federal Railroad Administration. PTC will automatically stop a train if there is another train within its track segment. For the third time in six years, non-union employees will see a 3 percent wage increase on average, based on performance. Union employees will receive a 3 percent wage increase that was negotiated in the latest contract, plus regular step increases. The budget allows for these adjustments. For the fourth year in a row, adult fares will not be increased. During today’s board meeting, the proposed Honored Citizen fare increase was approved. It’s the first Honored Citizen (HC) fare increase since 2010 and will be half of an adult fare. The adult single ride fare is $2.50 and HC fares will go from $1 for a single ride ticket to $1.25; the monthly pass will increase $2 from $26 to $28. Federal Transit Administration guidelines and TriMet Board of Directors policy target sets HC fares at half the regular adult fare. The revenue will help provide additional service to riders who are seniors and/or who have a disability. The new fares take effect Sept. 1, 2015. The FY2016 budget takes effect on July 1, 2015 and runs through June 30, 2016.